My subconscious was working overtime last week. At about the same time I was throwing up my hands up at the cruel and unusual punishment that is parenting today’s American teenager, I decided to pick up ten random balls of fluffy, need-me-desperately adoration. And, within the space of six days and a half a bag of meal worms, we went from shrieks of horror to hand-feeding. Would that all issues with truculent creatures could be solved so beautifully. I’m sure there are the makings of an entire psychiatric conference somewhere in that last paragraph, but the truth is, I have been intending to re-start the flock ever since we ended the flock last fall, and this time around it feels good to pick a random week, some random chicks and enjoy a bit of unplanned chaos. 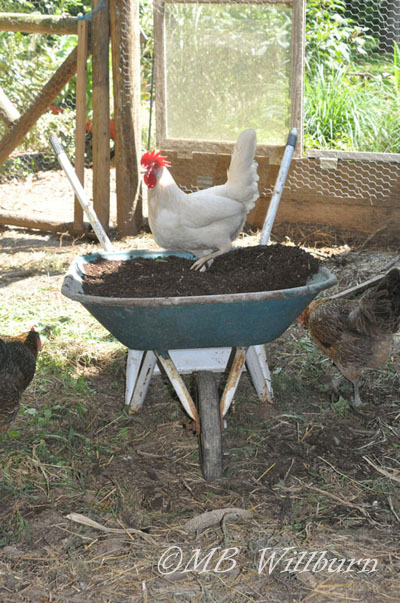 A white leghorn eating the sowbugs and soldier fly larvae out of a wheelbarrowful of my (almost) finished compost. For the gardener, chickens make sense. 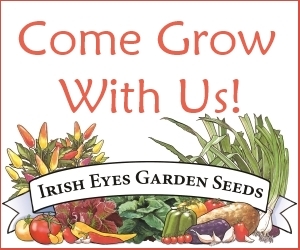 The Chicken/Garden Cycle is one of the easiest and most fulfilling and goes something like this: Feed chickens weeds and scraps, receive manure for garden beds, grow more weeds and scraps, feed chickens weeds and scraps, ad nauseam. Add rich, orange-yolked eggs, and the pastoral pleasure of watching chickens enjoying the simple things in life like grass and sun, and you can shelve the Xanax for a natural high. 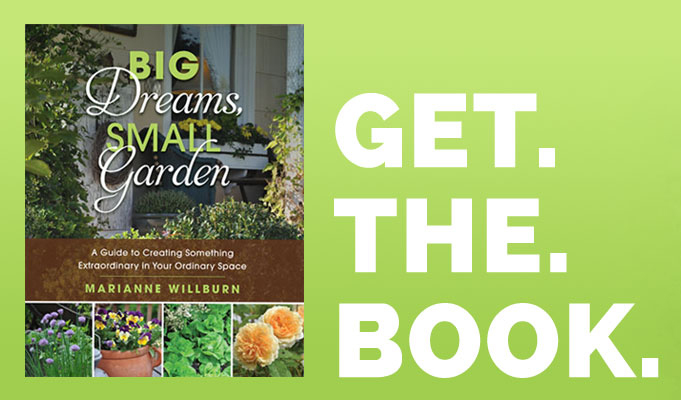 Chickens are useful and fascinating, and as a gardener, I would not be without them. At least not for long. When we moved into the rural pleasures of Oldmeadow six years ago, chickens were a number one priority. Years of pent up desire frustrated by archaic ordinances and closed minds were finally released in the construction of a large chicken coop and the purchase of 24 mixed-breed chickens and 10 guinea hens. I had kept chickens illegally in my last home with no neighbor complaints (or indeed, awareness), but although I might have an underlying edge to my personality, the truth of the matter is that I am the quintessential rule follower – after a year of clandestine chicken rearing, my nervous system was in tatters. I gave up the birds and we began to look for property in earnest. Four years, four offers and fourteen hundred listings later, we found it. The coop and run was built that fall – a rugged but somewhat attractive structure attached to the barn that had very little in common with the sage and ivory numbers filling the pages of trendy urban-living magazines. We built perches from a fallen sycamore, and the next spring it was time to fill all with birds. 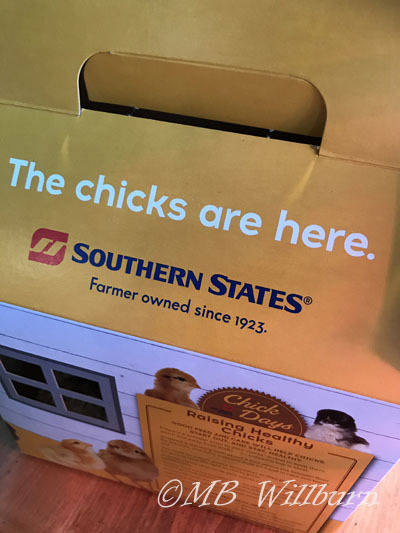 In order to get the breeds I had lusted after for years, and to successfully coordinate getting them at the same time so young chicks would not pick on yet younger chicks, I called each of the Southern States within a 20 mile vicinity to find out what they would be selling and when. I prepared my master list, the week arrived, and I inconveniently came down with ‘flu. But I would not be thwarted, and had my husband drive me from store to store – a journey he made shaking his head and wondering why he couldn’t have married a nice girl from the suburbs who was into scrapbooking. 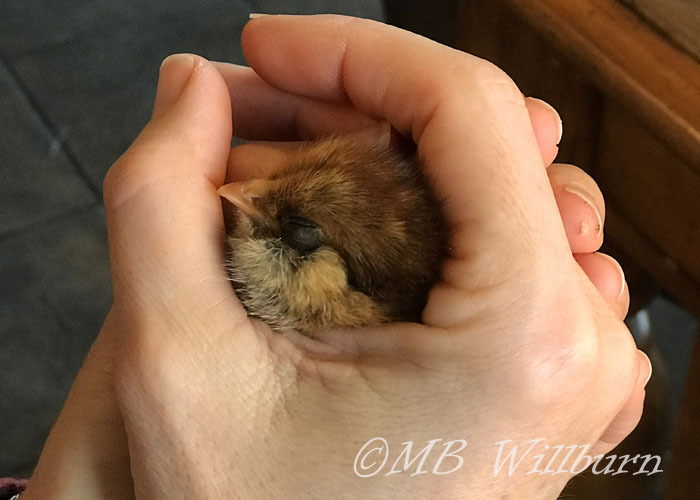 Two dozen chicks were purchased at three different stores (a friend having upped my original twelve-bird calculation, as she wanted to buy fresh organic eggs). The garage held the straw bale brooder for six weeks and we eventually moved the flock into their home sometime in May. There are chunks of the subsequent five-year story that could create stories in and of themselves – egg bound hens, three clutches of mama-raised chicks, hungry skunks, coq au vin, and that friend who decided that, Michael Pollan’s rantings notwithstanding, she could find cheaper eggs elsewhere. The flock dwindled over the years, and by last November, we were left with a very docile, farm-born rooster named Naboo and my very best broody hen, Stella. Anyone who has ever kept chickens in the Mid-Atlantic and all parts north (and does not keep them diapered in their Brooklyn apartments), understands the ridiculousness of keeping an old barren hen and a fully binary rooster through the season that is ice-time. Fortunately, a friend had just dispatched his rooster due to a severe case of toxic masculinity, and as his daughter had been the one to originally name Stella, and had a soft spot for her, the two remaining chickens crossed the river into Maryland and took up their positions in a newer flock as Wise Old Hen and Lord Protector. And that is where we have left it until now. 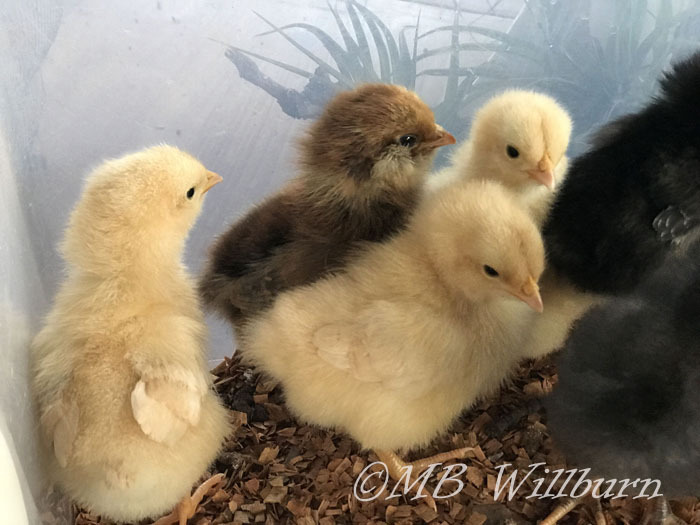 To run into my local Farm and Home Service after an afternoon’s grocery-shopping, quickly survey the chicks on offer, and grab ten and a bag of starter feed feels almost irresponsible after the planning and scheming I did just five years ago, but it is also deliciously spontaneous. Chickens are a responsibility, but they aren’t rocket science. 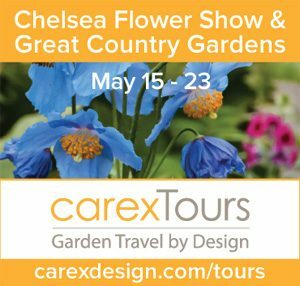 Are you thinking of being a little spontaneous yourself? Having fun putting an Americauna chick to sleep by stroking its head. New chicks are vulnerable to many things, Cold is at the top of that list, followed by snakes & rats that can squeeze through remarkably small holes in wired enclosures. If there is any chance of a failed heat bulb or failed enclosure, be prepared to brood them indoors for a few weeks until they have the feathers and size to cope. This gets dusty. VERY dusty. Garage or basement areas are the best choices. We all know the adage, you are what you eat. Consider feeding your flock a high-quality, organic feed that doesn’t just feed them, but nourishes them, and supplement with lots of weeds, bugs and kitchen scraps. I get my feed from Dawson Gap Farm in Hillsboro, VA. Sizing your flock appropriately to your family’s needs makes the added cost manageable. Healthy hens make beautiful, healthy eggs. Train your chicks at a young age to respond to a bell. Simply ring a bell each time you feed them a treat – such as mealworms or scraps. When they are grown-up they will continue to run for the bell, which makes it easy to round them up. Having trouble relaxing? Meditation eluding you? Pull up a chair and devote ten minutes to watching your chicks – and later, your chickens. For this Triple A personality, it is a sure-fire way of forgetting everything and losing myself in the antics of these wonderful birds. A version of this article was originally published by The Frederick News Post and is republished here with kind permission.